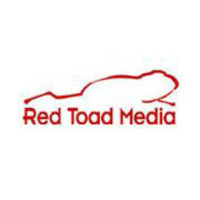 Red Toad Media is a specialty graphic and web design boutique located on the outskirts of Louisville, KY. We've been in business since 2001, doing web and print design for local businesses. We also work remotely and in other markets if the project warrants it. We have worked with teams and clients in Chicago, Atlanta, LA, Vancouver, Milwaukee, Portland and Nashville.Why do we tell you to Google us? We value transparency, authenticity, and results. We'd rather show you first, then tell you what we can do, if you still think we're a fit. We just think it's a better way to do business.